A few of us got together and visited Umbogavango on Sunday. I had never been before as somehow I have always missed the Christmas function. 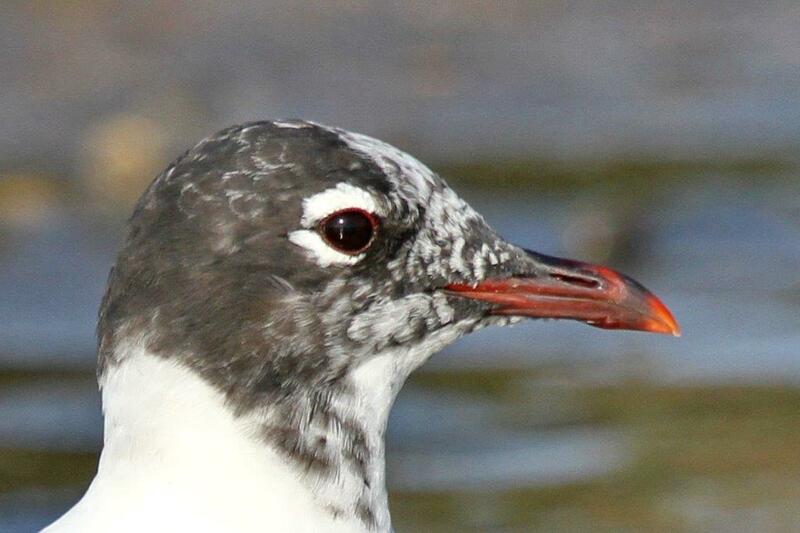 It was a fantastic day, the weather was glorious and together our little group saw close on to 70 birds. The walks are lovely as are the bird hides and dams. We walked around for five hours before making our way back to the braai area for sustenance. 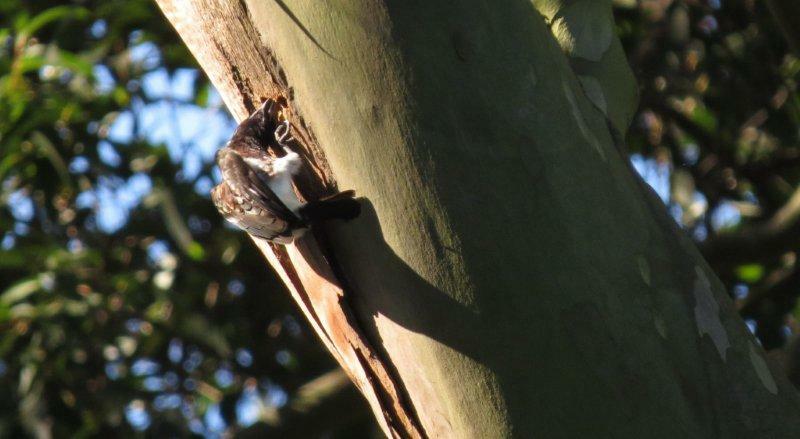 We spent a lot of time trying to id a flycatcher which was high up in the tree and very difficult to see. 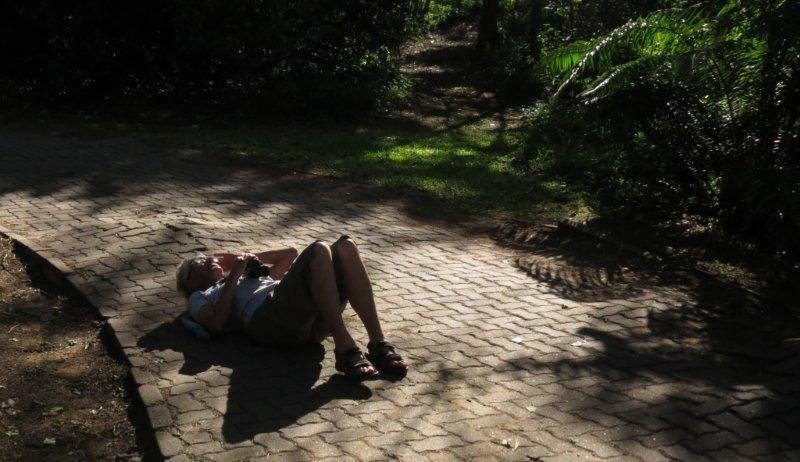 Eventually Sandy resorted to lying on the path on her back to relieve the neck strain. What a good idea. We eventually agreed on African Dusky Flycatcher; initially we were thrown by how white the breast looked. 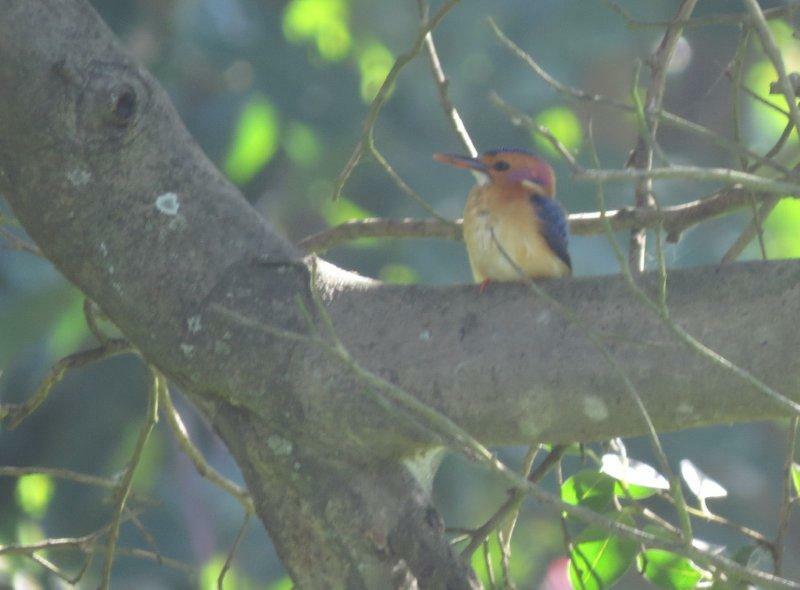 The best bird of the day was the Pygmy Kingfisher which initially we thought was a Malachite Kingfisher. Of course, the habitat we saw it in wasn’t right for a Malachite, as it was in a wooded area nowhere near water. 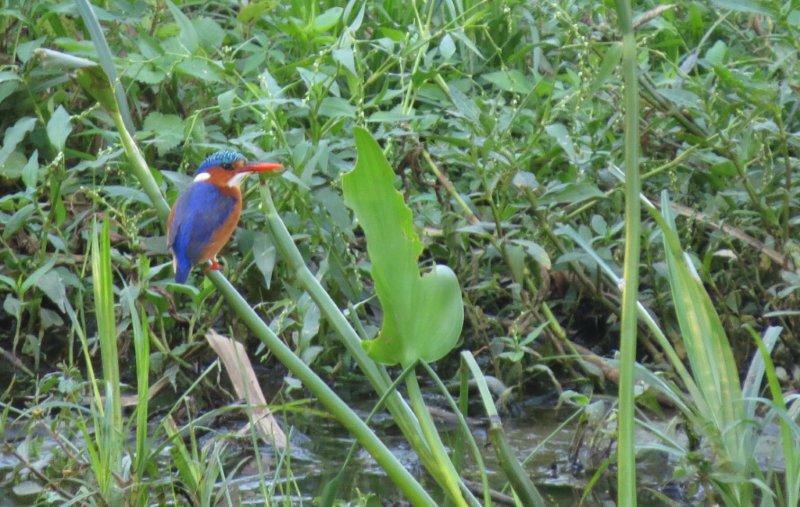 Later we did see a Malachite Kingfisher at the water’s edge and it was great for me to be able to take photos of them both so I could see clearly the difference between them. The orange eyebrow of the Pygmy is quite distinctive. 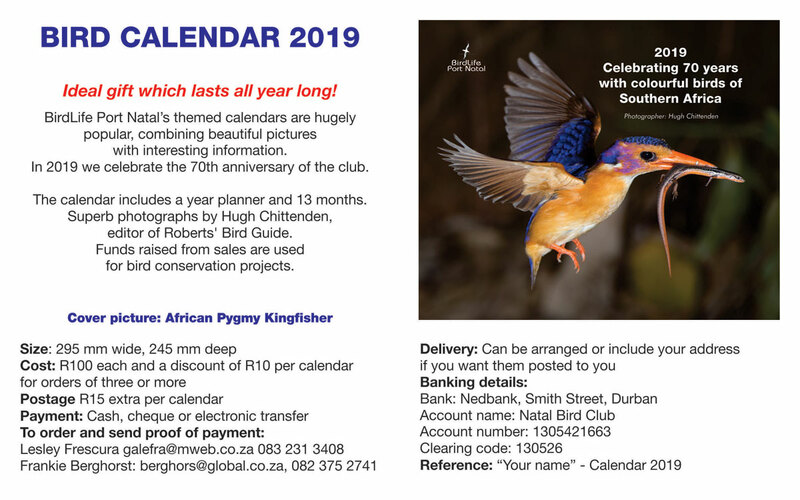 We saw a great bird battle playing out over one of the dams with the spoonbill, fish eagle, blacksmith lapwings and spur winged goose all flying around like crazy. 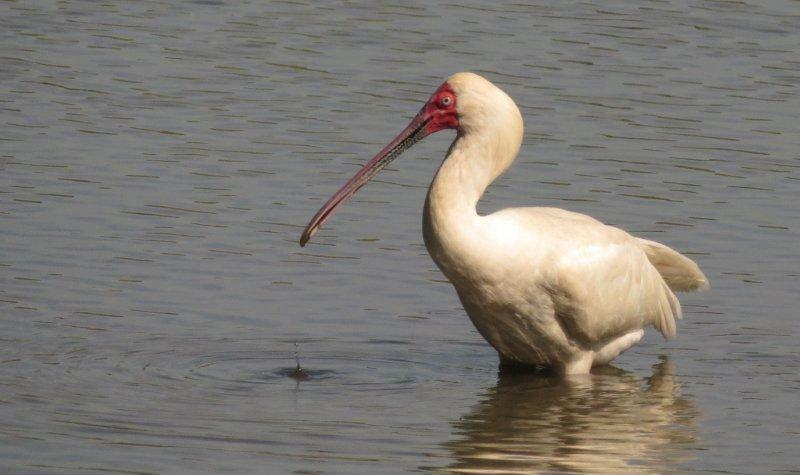 I think the spoonbill started it but soon it was hard to say who was chasing who. Great excitement. 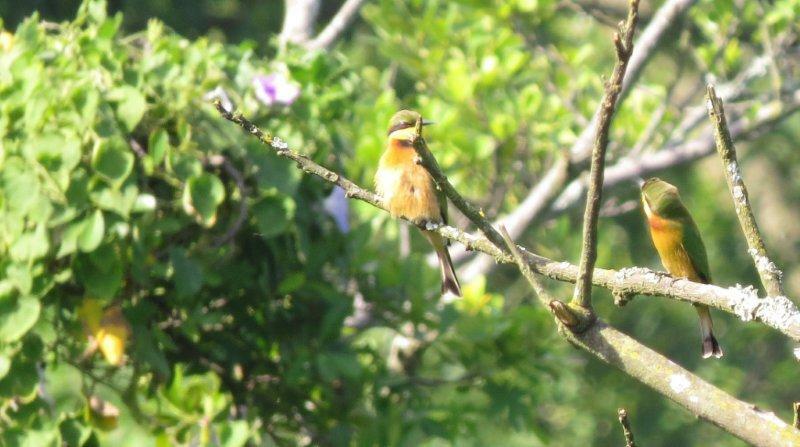 There were many red capped robin-chats, bee-eaters and white-eared barbets all over the place. We also saw a couple of raptors that we battled to ID. But we had good fun in our failure – it’s all part of the learning. Further debates ensued on whether the male violet backed starling loses his colour in winter because we saw one still looking beautifully violet. Faithful Roberts helped out – apparently they do but it may only happen as late as May. 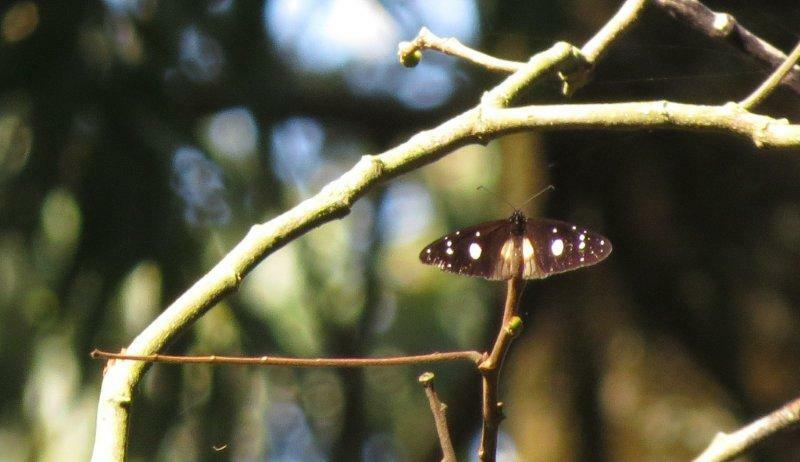 There were quite a few butterflies but not many co-operated with the photo taking attempts .The one I did manage to photograph is apparently a Layman, thanks to Sandi du Preez for ID. The day ended with us sitting on a bench watching a pied kingfisher flying to and fro and a well-earned drink. 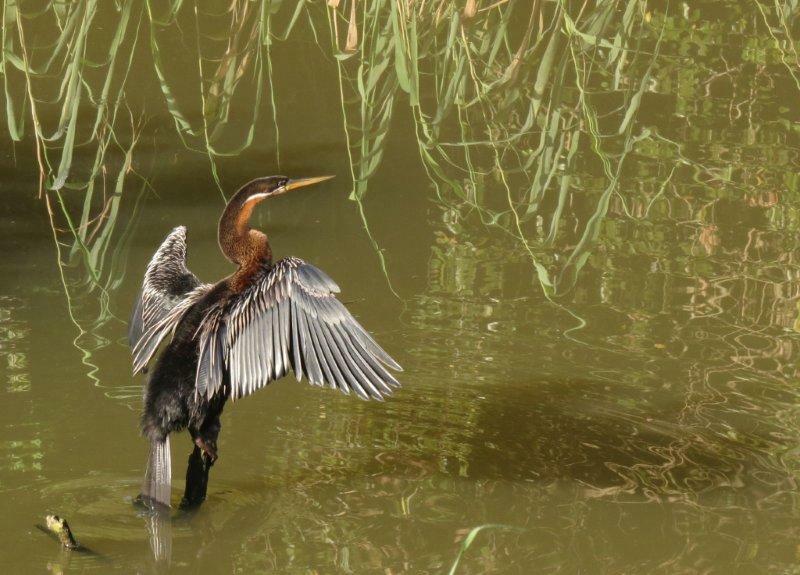 This entry was posted in Home, Posts and tagged Penny de Vries, Umbogavango. Bookmark the permalink.